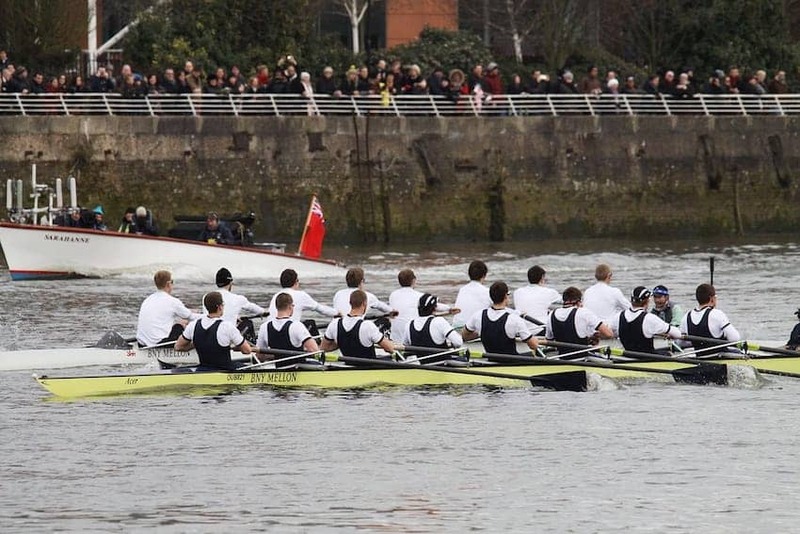 The Boat Race is an annual eights rowing race between the Oxford and the Cambridge University Boat Clubs. The first race was in 1829 and the event has been held annually since 1856. The course covers a 4.2 mile (6.8 km) stretch of the Thames in West London, from Putney to Mortlake. Members of both teams are traditionally known as blues with Cambridge in light blue and Oxford dark blue. Around 250,000 people watch the race from the banks of the river each year and millions more watch it on television. It is the only non-country-representative rowing race broadcast by a television station.